The Geo-Conversion Lift Dashboards that you’ve come to know and love are now available for all of your Addressable Geo-Fencing campaigns! Why does this matter for advertisers? 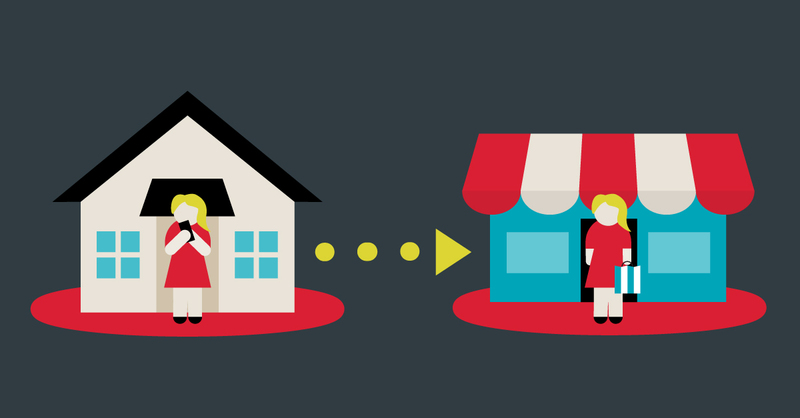 With over 92% of shopping in the U.S. done in brick and mortar stores, it is now more important than ever for advertisers to have access to attribution models that show how digital ads influence physical storefront visits. Thanks to Simpli.fi’s Geo-Conversion Lift solution, advertisers can now unlock valuable attribution insights that show how their Addressable Geo-Fencing efforts are influencing online-to-offline conversions! Geo-Conversion Lift*: Percentage difference in Campaign Conversion Rate vs. Natural Conversion Rate. New User Conversion Lift*: The campaign conversion lift with repeat converters excluded. Natural Users: The total daily unique users who were seen in the target fences of the campaign(s) but were not served an ad. Natural Converters: Users who have been detected in a target zone, and then detected in a conversion zone within the number of days designated in the conversion attribution settings for that campaign, regardless of having been served an ad or not. New Natural Converters: Natural Converters who have not visited a conversion fence in the last 30 days. Natural Conversion Rate*: The percentage of users that have been detected in a target zone, not served an ad, and then detected in a conversion zone for the same campaign. Campaign Users: Total daily unique users who were seen in the target fences of the campaign(s) and then served an ad. Campaign Converters: Users who have been detected in a target zone, served an ad, and then detected in a conversion zone within the number of days designated in the conversion attribution settings for that campaign. New Campaign Converters: Campaign Converters who have not visited a conversion fence in the last 30 days. Campaign Conversion Rate*: The percentage of users who were detected in a target zone, were then served an ad, and then were detected in a conversion zone for the same campaign. * With breakouts of daily new and repeat users to further increase transparency of conversion metrics. Additional reporting metrics accessible through the Geo-Conversion Lift Dashboards include: Impressions, Total Spend, Clicks, View Through Visits, Click Through Visits, Total Visit Rate (TVR), Cost Per Visit (CPV), Daily Visits, Daily Total Conversion Zone Visits, and more. Geo-Conversion Lift gives advertisers some significant advantages when it comes to analyzing their Addressable Geo-Fencing campaigns. Crucially, advertisers can now determine what percentage of visitor conversions can be attributed to their advertising campaigns (i.e. what amount of foot traffic were natural conversions vs. campaign conversions). Thanks to the Geo-Conversion Lift reporting metrics that advertisers have come to know and love for Geo-Fencing campaigns, marketers can now analyze their Addressable Geo-Fencing campaigns at the same incredibly granular level. This includes the ability to measure actual visits, visitation rate, and days to convert between target zones and conversion zones as compared to natural visits, natural visitation rate, and natural days to convert. A weighted CPV can also be determined based on Geo-Conversion Lift findings. Advertisers can further break it down by measuring the difference between mobile users seen visiting the conversion zone once in the last 30 days as compared to mobile users who have visited more than once. This allows for the measurement of New Campaign Converters vs. Repeat Campaign Converters, and lets you filter out repeat visitors such as employees, vendors, service providers, and even the mailman! Simpli.fi has combined the precision of address-level household and business targeting with the capability to accurately track online-to-offline conversions and see how the Addressable Geo-Fencing campaigns are influencing foot traffic. This is truly a win-win for advertisers, and an important development for the programmatic industry as a whole. Don’t delay on getting these valuable, granular insights into how your Addressable Geo-Fencing campaigns are driving online-to-offline conversions. If you aren’t already utilizing our industry-leading Addressable Geo-Fencing solution, there’s no better time to start. To begin taking advantage of our addressable programmatic solutions, reach out to us at hi@simpli.fi.